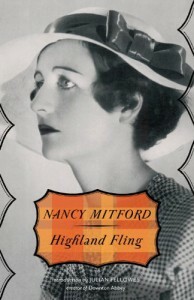 Highland Fling was Nancy Mitford's first novel. It was published in 1931. I have recently bought all ofNancy Mitford's novels, and intend to read all eight. But there is no real sense, in the pre-war works, of the grandeur and sophistication Mitford would achieve in the last four. There is, in fact, considerable evidence, especially in Wigs on the Green and Pigeon Pie, that Mitford's world view — compounded of knowing frivolity and evenhanded acceptance of the various political forces that are about to clash so tragically — is overwhelmed by her material. She can organise her story, more or less, and she can give her characters vivid life, but she can't acknowledge the meaning of their opinions or their actions. Her characters are imprisoned in a world where consequences are muffled by privilege and where all eccentricities are merely amusing. The clue to the narrowness of this world is Mitford's failure to introduce it systematically or to depict it with much detail. She writes from the centre of that world, for an audience who knows what she is talking about, for whom more explanation would retard the pace of the jokes. The whole article is well worth a read, and it has whet my appetite for all of Nancy Mitford's work. 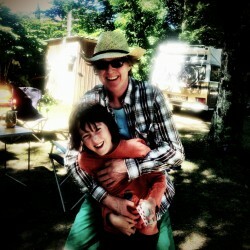 I am encouraged to learn that her books should get progressively better and better. Good comedic writing is notoriously difficult to do well. The sublime P.G. Wodehouse and earlyEvelyn Waugh, can reduce me to tears of laughter. Highland Fling, which provided the odd chuckle, suggests that Nancy Mitford might also have this talent. Highland Fling is undeniably a pleasant read. The slight story has some great characters. Like P.G. Wodehouse, albeit on this occasion without the guaranteed hearty guffaws, what Nancy Mitfordachieves in her first novel, is a window into the English aristocracy in the first half of the twentieth century. Nancy Mitford's nuanced descriptions of the personalities that populate Highland Flinghighlight the acute intergenerational conflicts between the Bright Young Things and "the grown ups", many of whom are traditional, austere, stereotypically aristocratic Victorian characters. These figures are brought to life with clarity and wit. Nancy Mitford also manages to incorporate universal themes: relationships, family, love etc. Highland Fling is a bit uneven, but I enjoyed it, and I look forward to reading more of her work. I am going to try to resist the temptation to read her second novel, Christmas Pudding (1932), before December 2013, so to better appreciate the novel's Christmas setting, but I may have to give in to the temptation to start reading it sooner.